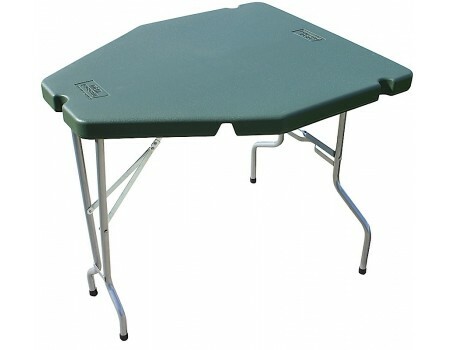 MTM's Predator Shooting Table is modeled after a traditional shooting bench rest. 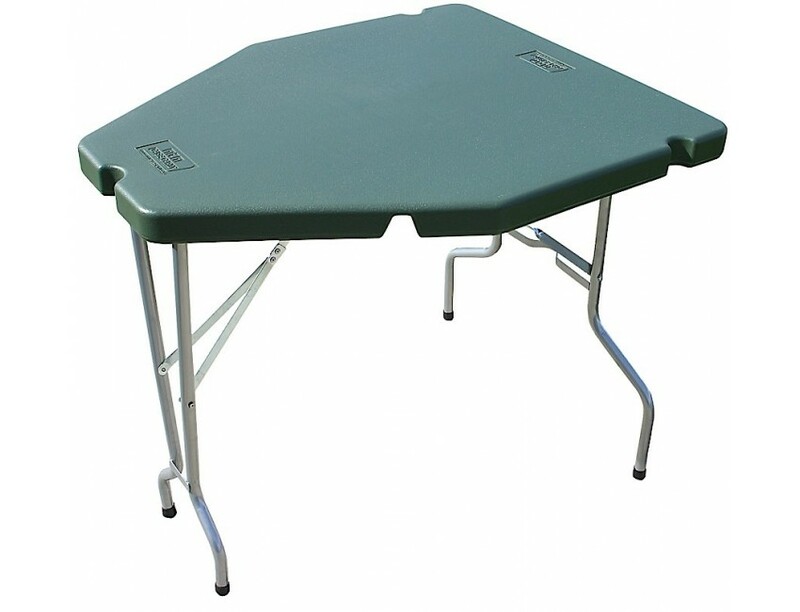 The wedge shaped tabletop design provides a comfortable shooting position for either left or right-handed shooters. Once your table is set up, you can lean your rifle into one of the three barrel grooves molded into the sides of the table. Doubling as a maintenance bench, cleaning bench or muzzle loader table at the range, the MTM Predator Shooting Table is ideal for sighting-in and testing firearm performance. It is also ideally suited to the back-forty shooter or the prairie dog hunter on the go.